Register free today to filter the Dividend Calendar with your custom watchlist. 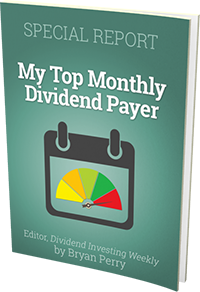 And track your favorite dividends from your free watchlist. Search for dividend ex-dates and pay dates. Filter to find stocks by calendar date. The dividend calendar provides a day-to-day view of stocks which are going Ex-Dividend and which stocks will provide a pay-out to aid investors in projecting ownership requirements and income streams. You can look up dividend information by specific stock symbol, or find all stocks with projected or announced Ex-Dividends on a calendar date. Helpful screeners allow you to filter stocks by such attributes as your personal Watchlists, Dividend Type, Guidance Notes, Equity Type and whether options are available, as well as most recent data to determine if the Ex-date is projected or announced. Premium Subscribers may also download this information.